BASF created Basotect as a fire proof acoustic and thermal insulation. Porsche uses it in some cars for sound insulation under the hood. It's an open cell melamine foam and a few years ago it was discovered that this foam has some powerful cleaning properties. It's now sold in every grocery store under the name "magic eraser sponge". You can use it to remove even the most persistent stains very gently with just a bit of water. Recently I made an astonishing discovery: You can even use it to remove dark stains from your teeth! I get sometimes dark, almost black, stains on my teeth. Some dentists attribute it to tee and coffee but it must as well have to do with genetics and the composition of the saliva because I get it much easier than my wife. 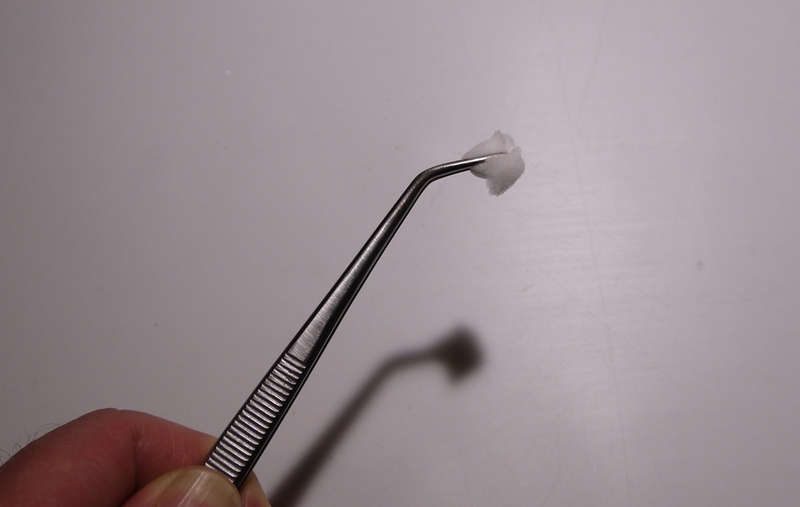 Dentists can remove those stains by either using a rotating rubber with small abrasive particles or by "sand blasting" the teeth with small salt grains. Both methods are rather aggressive to the tooth and not pleasant at all. I had bleeding gums for several hours after my last cleaning at a new dentist . Looking for a better, more effective and more gentle way to clean my teeth I tried a piece of "magic eraser sponge". It's the perfect way to remove stains from teeth! Break off a small piece from a new and clean "magic eraser sponge". 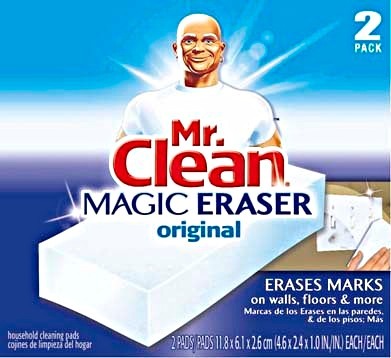 You want the classic/original "magic eraser sponge" without detergents. 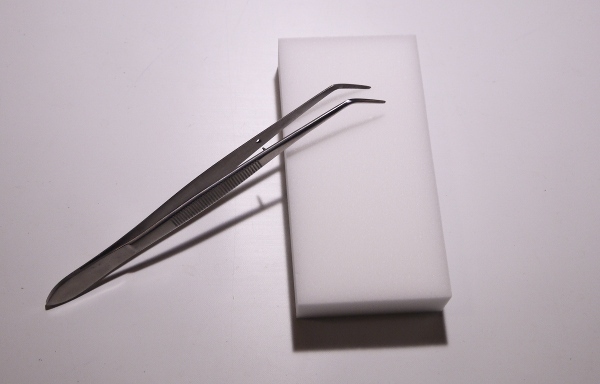 Hold the broken off piece of "magic eraser sponge" between a pair of tweezers and make it wet. Stand in front of a mirror and rub the broken off sponge piece with the pair of tweezers gently over the dark spots on your teeth. Rub up and down. Never rub horizontally along the gums. Avoid touching your gums with the sponge. It's absolutely astonishing how easy it is to remove the black spots. It took me just under 5min to clean all the teeth in my mouth. Hold a small piece of magic-eraser-sponge between a pair of tweezers and gently rub off any dark spots on your teeth. Instead of seeing a dentist every 6 month I buy a 1$ "magic eraser sponge" and do it my self. Since I do it my self I can easily feel if I touch my gums accidently with the sponge. The dentist does not feel pain when he/she accidently "sand blasts" my gums and he notices it when it is too late. Even if you hit your gums occasionally with the sponge it is not a problem. That's in contrast to the dental sand-blasting equipment hitting the gums. I am not a doctor or a dentist and I can not guarantee that this is healthy or even safe. Possible side effects or long term effects of this procedure have not been studied. You try this at your own risk.